The Nigerian Army on Saturday, said it would dispatch Operation Crocodile Smile II, in the South-South region and a few sections of the South-West. The Director, Army Public Relations, Brig.- Gen. Sani Usman, affirmed this in an interview with Signature TV on Saturday. He said the armed force left on Python Dance lI, in view of the positive criticism from the South-East after Python Dance I. "See, this is the Federal Republic of Nigeria. The Nigerian military has a place with Nigeria and they have an obligation to practice in any piece of the country. It is sad to the point that a few people endeavor to politicize these issues. They ought to have practiced tolerance and perceived how this activity would go. 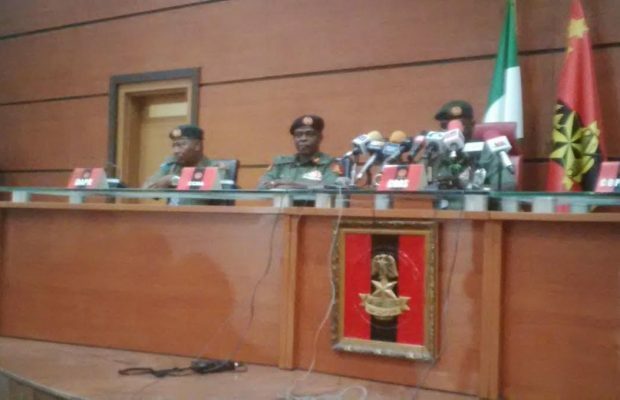 "We had Operation Harbin Kunama II covering the North-West and parts of the North-Central this year. When we are finished with Egwu Eke II (Python Dance), we are additionally going on Crocodile Smile II that will cover the South-South and a few sections of the South-West of the country. "Operation Python Dance II occurred in light of the empowering criticism we got because of Python Dance I held a year ago. This is particularly a result of the violations amid the "coal" period in the region. You realize that the South-easterners, who are ambitious and productive individuals, need to come back to their places toward the finish of the year. "Tragically, some criminal components exploit this period to execute violations. We have outfitted burglaries, kidnappings, and collective conflicts. In any case, the Christmas of 2016 and New Year 2017 were the most tranquil in that piece of the country, and that is ascribed to the field preparing exercise, Python Dance I," he said.